My boys have a little Christmas tree in their bedroom. Each morning they open a small box that holds an ornament to put on the tree. The ornaments are small, simple things I've made over the years. 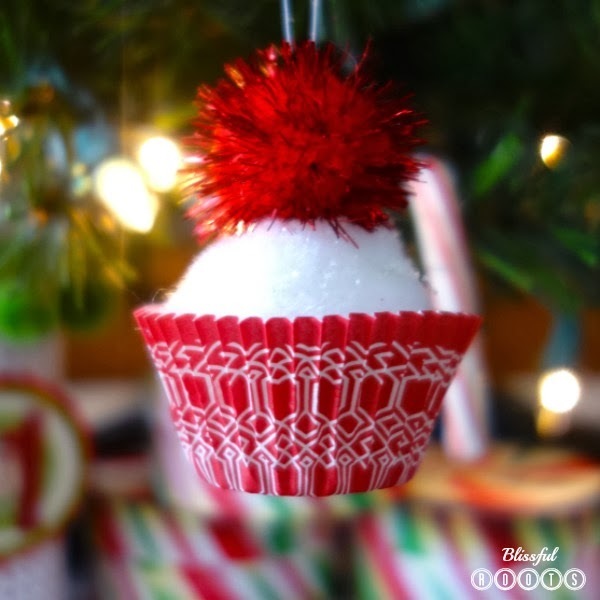 One of my absolute favorites has been these cupcake ornaments. I saw these somewhere (Pinterest maybe, but it could have been before Pinterest days) once upon a time, and knew they'd be the perfect addition to my boys' tree. They're so, so simple to make, and who doesn't love little cupcakes (even if they're not edible)? Start by puffing your cotton ball a bit. I like to do this so it fills in the cupcake liner, and doesn't just look like a cotton ball sitting in the bottom of the liner. Add a strip of hot glue around the inside of your liner, then put your cotton ball in and hold until dry. Spray your cotton ball with spray adhesive (I've been known to use hairspray before) and then shake glitter on top. 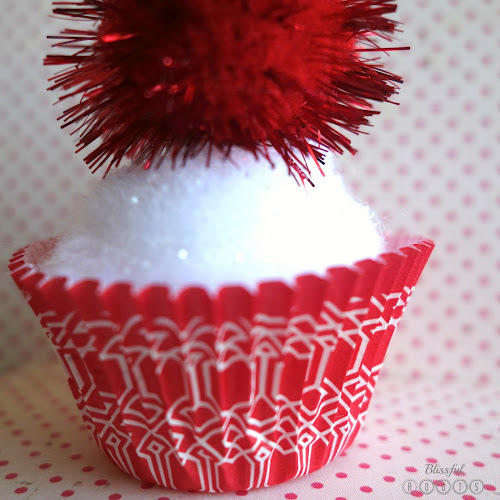 Hot glue the pom pom to the top of the cotton ball, and allow to dry. 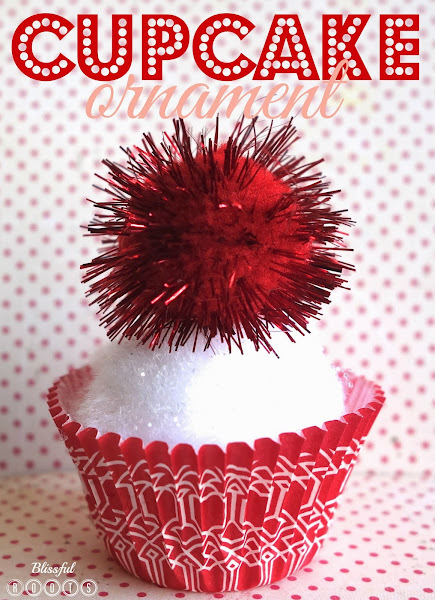 Run a needle and thread through the tip of the pom pom, and tie a knot. 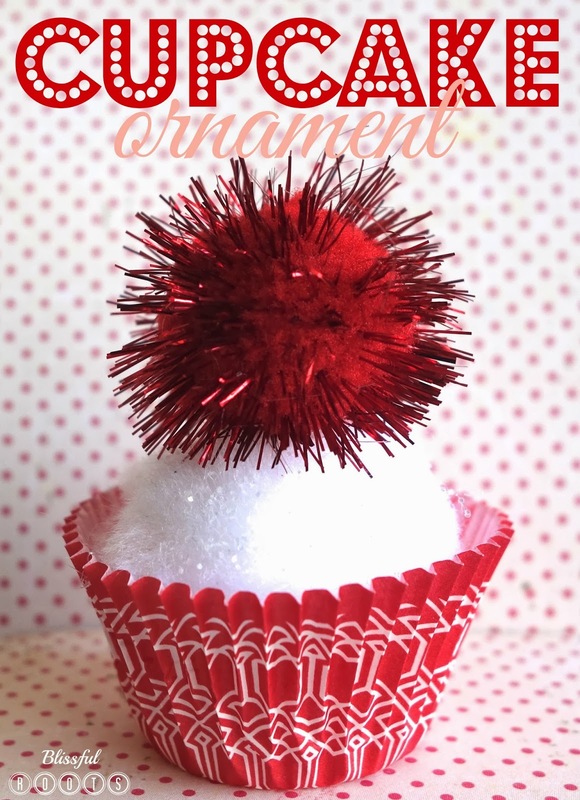 This will create the loop for hanging your cupcake ornament. I have a small cupcake liner addiction, so I have quite the stash to draw from. My boys' tree is red, white, and green, but wouldn't pink, blue, yellow,or any color be adorable? You can adapt the color combination to fit your tree's color scheme. And here it is dangling from the tree. They're even cuter hanging than sitting! Cute idea, Brooke! Thanks for the inspiration. You're very welcome, Marianne! Don't you love a bit of holiday inspiration? I always do. Thanks so much for stopping by! Have a great weekend!